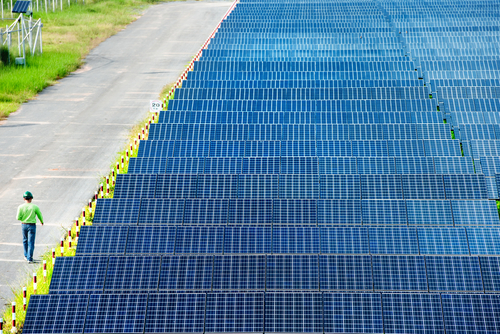 Canadian Solar Inc., one of the world’s largest solar power companies, today announced that it has been awarded a module supply agreement to provide China Three Gorges New Energy Co., Ltd. with photovoltaic modules totaling 100 MW for a solar power project located in Guazhou County, in the Gansu Province of China. “We feel honored to be awarded this module supply agreement by Three Gorges New Energy, a rapidly growing renewable energy project developer in China,” said Dr. Shawn Qu, Chairman and Chief Executive Officer of Canadian Solar. “This agreement underscores that Canadian Solar’s brand is well recognized in the Chinese market and that we remain on track with our market diversification strategy to expand our global footprint and gain market share in important growth markets,” added Dr. Qu. Canadian Solar will supply its high efficiency 60 cell CS6P250P and CS6P-255P modules with power output of 250Wp and 255Wp for the project. The Company’s 250Wp and 255Wp CS6P-P modules outperform competing 60 polycrystalline cell module brands in the market, producing over 6% more power annually according to PVsyst PV system simulation. In addition, all Canadian Solar modules come with a 10-year material warranty and a 25-year linear power output performance guarantee backed by a third-party insurance policy underwritten by leading insurance companies. Module delivery has already commenced and is expected to be completed in December 2013.